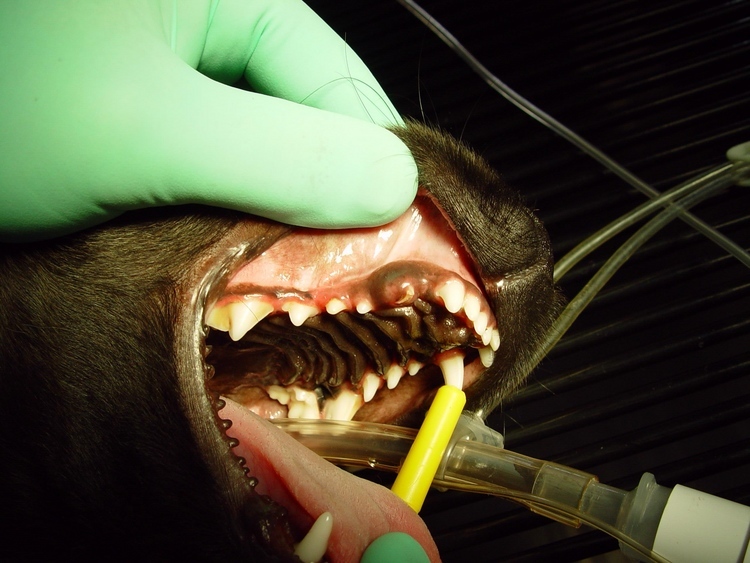 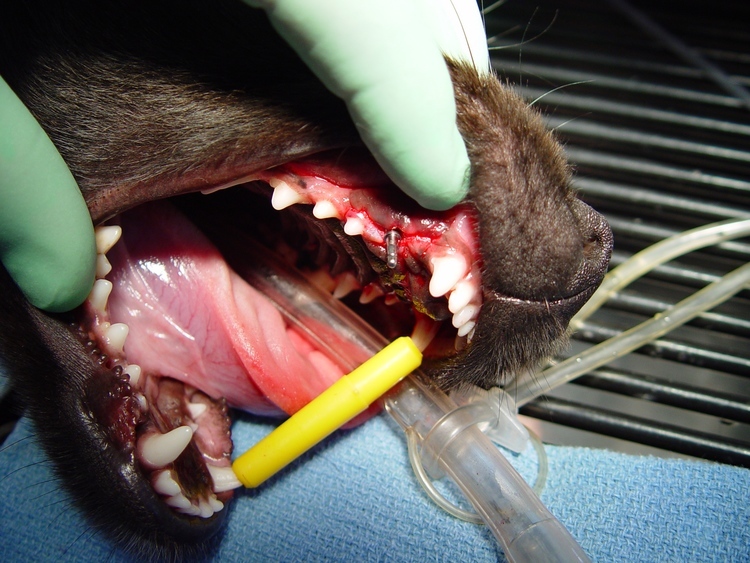 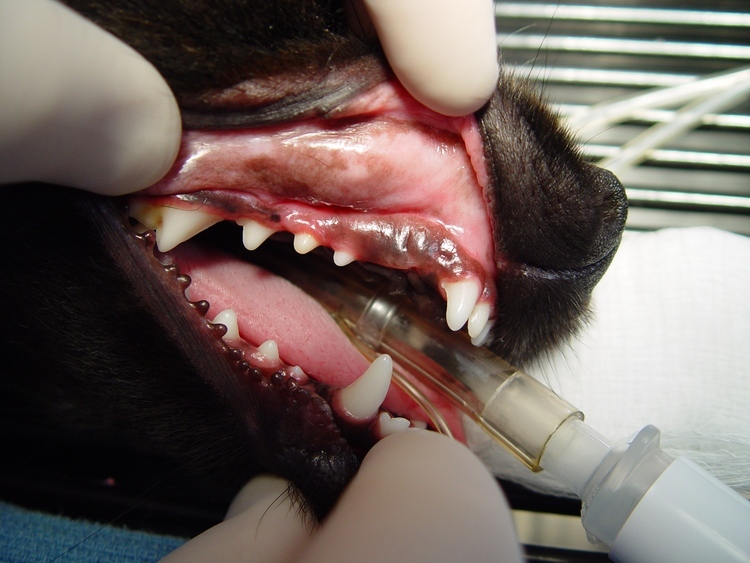 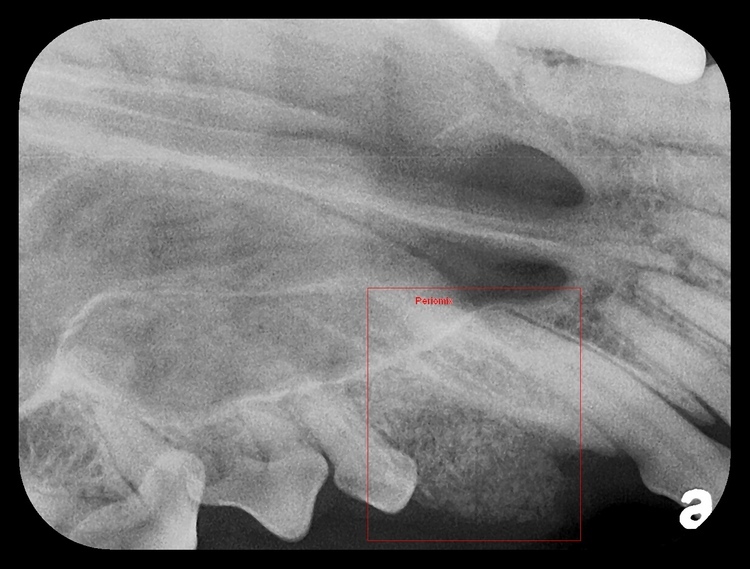 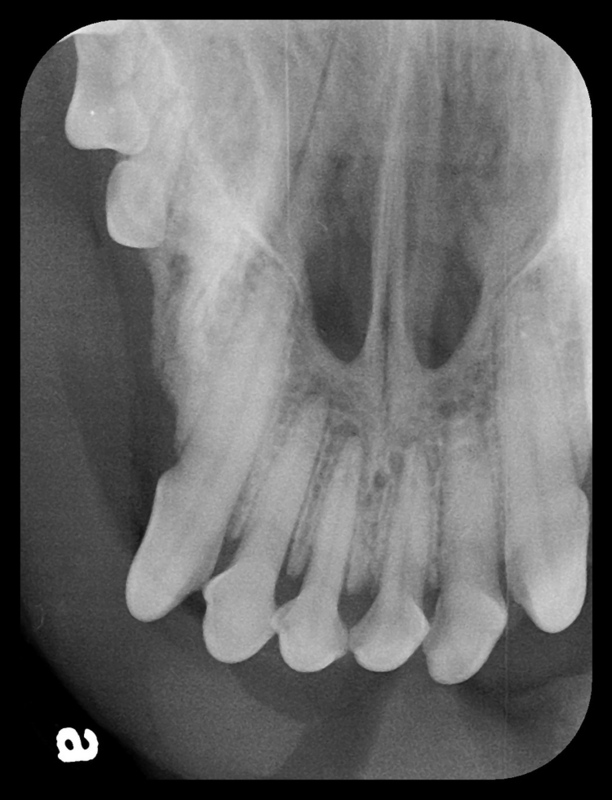 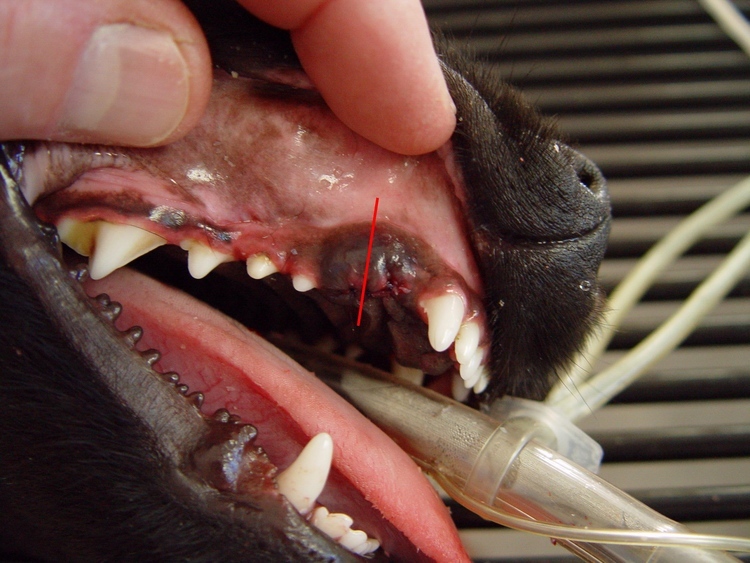 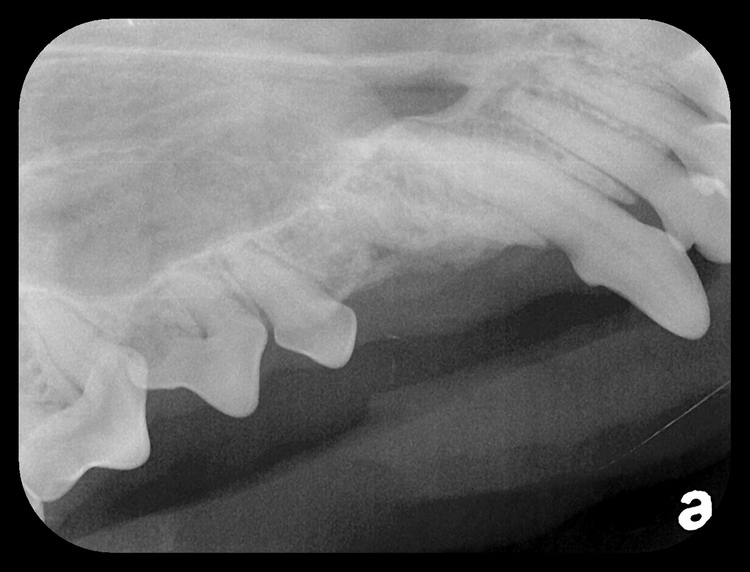 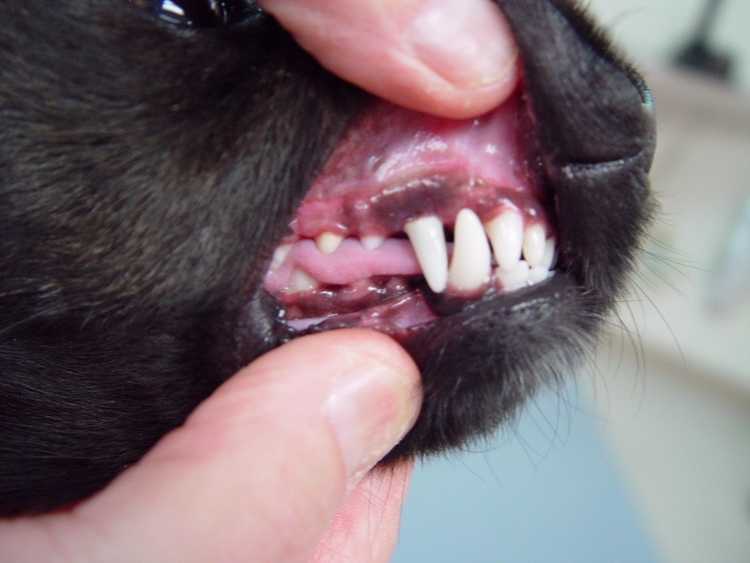 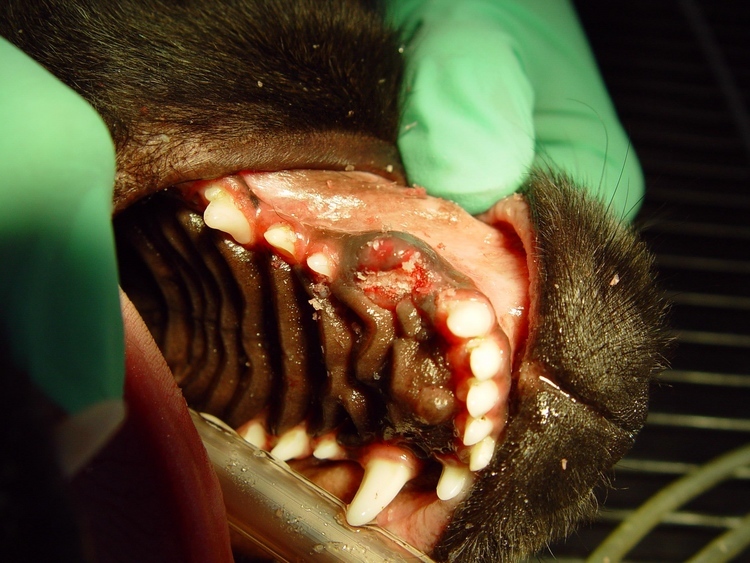 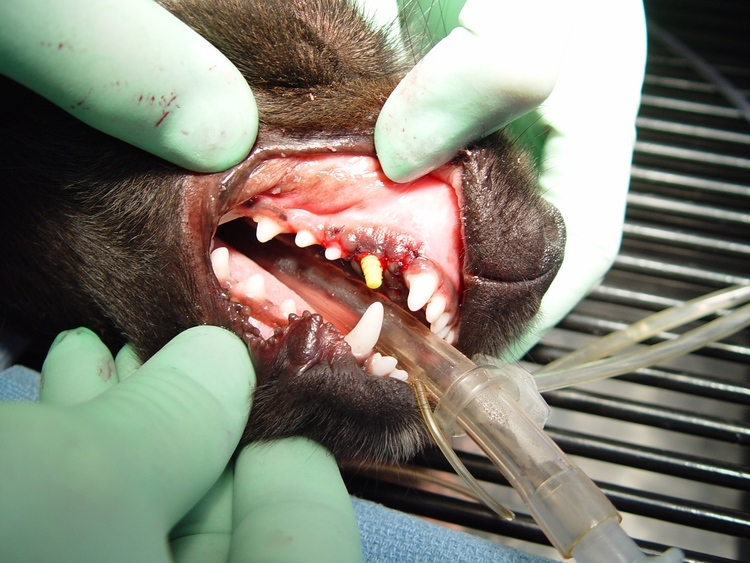 "O rrie ", a 2 year old mix breed dog, was presented with a fractured upper right canine tooth (#104) just below the gumline (sub-gingival fracture). 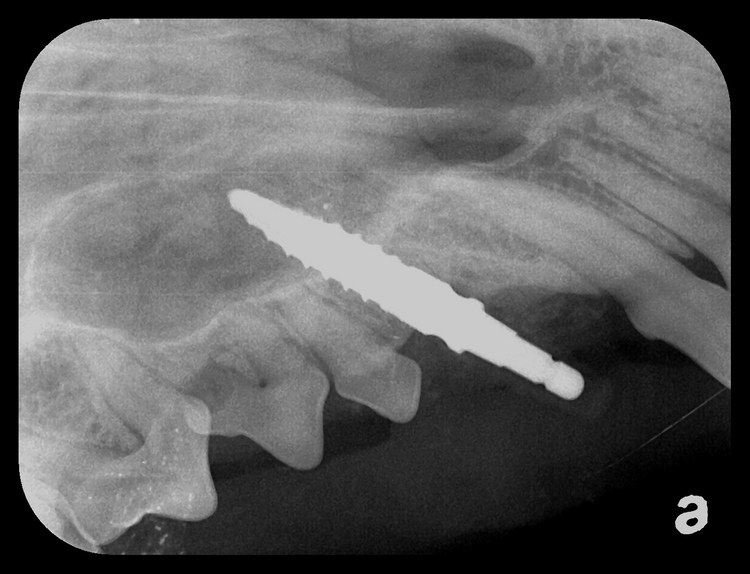 Treatment for this type of complex fracture was surgical extraction and bone augmentation (build new bone). 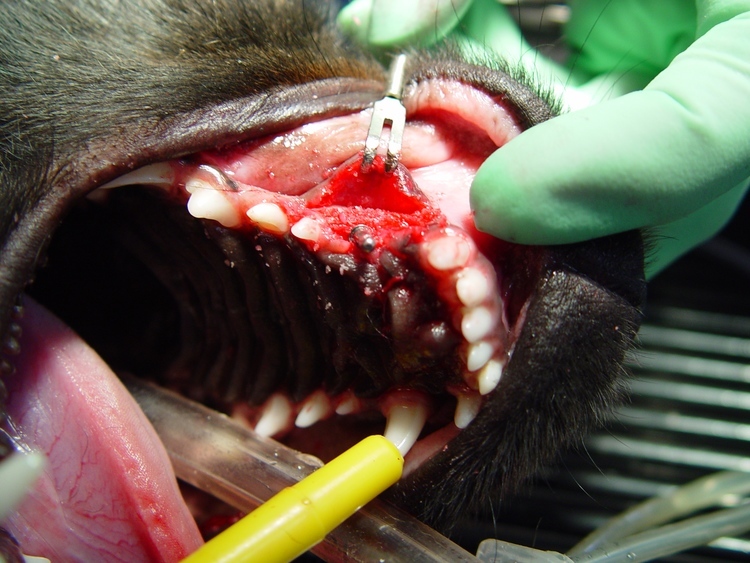 T o avoid these additional problems, a dental implant may promote a simple remedy. 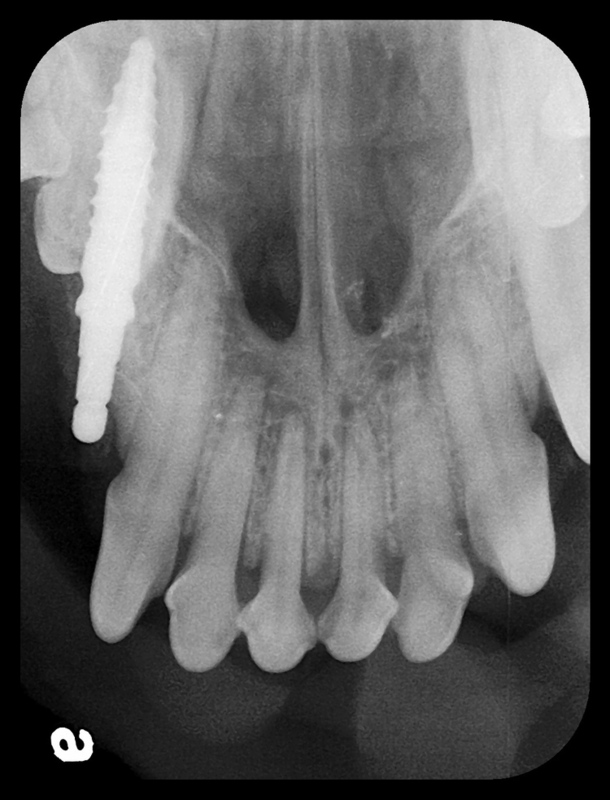 As a result of the implant surgery, we can expect to restore the area to normal function and should not overlook the benefits of a cosmetic restoration.